Andy Stanley’s sermon began the debate about ‘unhitching’ the Old Testament, but Iain Provan urges us to see the big picture. Image captured from YouTube video. If this had been a sermon about the need for Christians to read Old Testament Scripture well rather than badly, and even about the necessity of churches devoting far more resources than they currently do to helping their members to achieve this, I’m sure that many people would have applauded; certainly I would have done so. But what Andy actually urged Christians to do was to “unhitch” the Old Testament from their Christian faith. Andy acknowledged in this sermon that his comments might be considered “a little disturbing” by some listeners, and judging by the reaction on social media, he was quite right. Significant numbers did not applaud. In many ways, however, it is a mistake to focus simply on this sermon, for in doing so we run the risk of getting distracted from a larger and more important reality: that the kind of position Andy has articulated is not unusual in the contemporary church worldwide. And it is this fact, rather than the words of one preacher in one sermon, that we ought to find truly disturbing. For to regard the Old Testament (OT) as anything less than actively relevant Christian Scripture, in precisely the same sense that the New Testament (NT) is Christian Scripture, is to step outside the bounds of historic, orthodox Christian faith. It is to step aside from following Christ. And many Christians appear not to realise that this is so. Long before there was a Church, there was already a Scripture.2 Its prior existence is indicated in the Gospels in what Jesus himself names on a number of occasions as “the Law and the Prophets” (e.g., Luke 16:16) or close variants (like “Moses and the prophets”) – selected human words recognized as representing at the same time the word of God, and as such preserved for posterity. That is to say, they were recognized as prophetic, in the broad sense; they were recognized as “inspired.” It is this canonical collection of Law and Prophets that in Jesus’ own lifetime and in the history of the earliest Church “was viewed as a privileged, stable witness against which the claims of the gospel were tested and shown to have been established from of old”3 – was understood, indeed, as “the very words of God” (Rom. 3:2). Do not think that I have come to abolish the Law or the Prophets; I have not come to abolish them but to fulfill them. I tell you the truth, until heaven and earth disappear, not the smallest letter, not the least stroke of a pen, will by any means disappear from the Law until everything is accomplished. Anyone who breaks one of the least of these commandments and teaches others to do the same will be called least in the kingdom of heaven. How foolish you are, and how slow of heart to believe all that the prophets have spoken! Did not the Christ have to suffer these things and then enter his glory?’ And beginning with Moses and all the Prophets, he explained to them what was said in all the Scriptures concerning himself” (Luke 24:25-27). The central importance of the OT Scriptures is emphasized again shortly afterwards, in Luke 24:44, when Jesus advises all the core disciples and others that “[e]verything must be fulfilled that is written about me in the Law of Moses, the Prophets, and the Psalms.” If the disciples, after the resurrection, want to understand what is going on in the world and in their lives, they must attend to these OT Scriptures. Jesus himself sends them there. The primary reference here is of course to the OT, since the NT does not yet exist; and we notice immediately how impossible is any idea that these “Jewish scriptures” are merely “divinely inspired backstory” but not at the same time a “go-to source regarding … behavior in the church.” The OT is inspired Scripture designed precisely so that it is useful to the Church in “teaching, rebuking, correcting and training in righteousness.” It is the very canon (or measuring-stick) of Christian faith and practice in the first century AD. We see this played out in the book of Acts, where Christians are described as sharing with Jews a commitment to hearing what “the Law and the Prophets” have to say (Acts 13:15) and to believing it: “I believe everything that agrees with the Law and that is written in the Prophets,” affirms the Apostle Paul to Felix in Acts 24:14. Various of his letters to the Christian churches of the first-century Roman world illustrate the seriousness with which he took this idea. Everywhere in this correspondence he grounds his teaching in the pre-existing Scriptures. 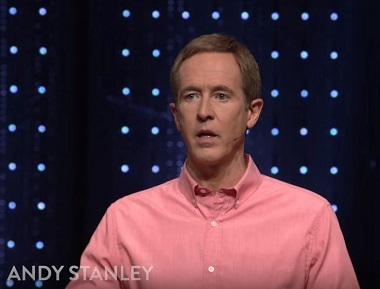 For example (and this is important especially in the light of Andy Stanley’s advice that Christians should not obey the Ten Commandments), Paul applies the Ten Commandments to the various ethical situations with which he is confronted in the emerging churches (Rom. 7:7, 13:9, Eph. 6:2-3). The generations of Christians who came immediately after the apostolic age unsurprisingly followed the apostolic example. They held stubbornly to the belief that it was the Scripture of Israel that gave the Church its fundamental orientation to reality – the fundamental story of which it found itself a part – and that their reception of this literature as their Scripture was intrinsically bound up with their acceptance of Jesus Christ as Savior and Lord. They could not have the one without the other. From the pen of Justin Martyr (c. AD 100-165) we have two surviving ‘apologies’ (defenses of the Christian faith), written in the middle of the second century AD, and in both of these the OT is likewise central: “Justin . . . appealed to the Scriptures (the Old Testament) as a prophetic witness for the Messiah, Jesus Christ . . . The Old Testament in Justin is without question recognized as the Scripture of the Christians.”9 This is the case even though Justin, like others before him, knew some of the writings of the apostles that would eventually form the NT. Yet “the New Testament is not actually interpreted [in his work]. Its character as ‘Scripture’ does not appear to have been held … Demonstrations of the Christian truth … are capable of being obtained only from the Bible held in common with the Jews.”10 As to this ‘commonality’, it is striking that even though significant Jewish-Christian disagreement surfaces in Justin’s Dialogue with Trypho in a number of areas, this is not the case on the question of which are the books in the Bible. On that question, at least, they do not disagree. Twice in his First Apology, Justin mentions someone who did take a very different view of the OT: Marcion of Sinope, who centered his Bible on ten of the Apostle Paul’s letters and rejected the OT as Scripture in its entirety.11 Marcion did this in broad companionship with others in the early Christian centuries who have come to be described by Christian writers as “the Gnostics,” and he has often been regarded as essentially a Gnostic himself. These Gnostics substituted for the OT’s fundamental distinction between the Creator and his good material creation a distinction, instead, between the spiritual (good) and the material (evil) world. They proposed that salvation involved not the redemption of the whole world, including the body, but the escape of the individual spirit from the material world (and centrally from the body). This being so, Gnostics had no place in their philosophy for an incarnate deity dying for the sins of the world and rising bodily again so that others could do the same. The gnostic analysis of the world, indeed, did not find sin to be the obstacle to salvation, but rather ignorance – from which elite and esoteric ‘knowledge’ (Gk. gnōsis)would deliver the initiate. The marginalization of the OT that we find in Marcion’s approach to Scripture greatly facilitated this kind of conforming of Christian faith to the norms of a certain type of Hellenistic philosophy. However, this Marcionite move was widely understood in the post-apostolic Church as wrongheaded, and to be certain, if accepted, to change the very character of apostolic Christian faith. The change is already illustrated in Marcion’s own teaching on the basis of a slimmed-down collection of Scriptures that did not (and could not) include even apostolic writings (like the Gospel of Matthew) that indicated significant continuity between the OT and the NT. The serious attention given to OT texts by Christian writers during the first two centuries AD continued all the way down through the succeeding ones, even as the final contours of the NT corpus were becoming firmly settled in the Church. Early attempts by people like Marcion to “unhitch” the OT from Christian faith were rejected by the post-apostolic Church, whose leaders recognized that this represented a fundamental assault on apostolic faith, and ultimately on the lordship of Christ. It is the whole Bible that orthodox Christians must continue to regard as Scripture, at the same time always striving to read it well across its whole scope. Bad reading of the OT should certainly always be rejected. The OT itself, however, can never be “unhitched” from Christian faith. Its words remain “the very words of God” for the Church, shaping both its faith and its practice – words to which Jesus Christ himself directs our attention. 1 Accessed on May 13, 2018, at https://www.youtube.com/watch?v=pShxFTNRCWI&feature=youtu.be. 2 The substance of the argument below is taken from my new book, The Reformation and the Right Reading of Scripture (Waco: Baylor University Press, 2017), chapter 2. 3 Christopher R. Seitz, The Goodly Fellowship of the Prophets: The Achievement of Association in Canon Formation (Grand Rapids: Baker Academic, 2009), 35. 4 Christopher R. Seitz, The Character of Christian Scripture: The Significance of a Two-Testament Bible (STI; Grand Rapids: Baker Academic, 2011), 17. 5 Heinrich Bornkamm, Luther and the Old Testament (trans. E. W. and R. C. Gritsch; ed. V. I. Gruhn; Mifflintown, PA: Sigler, 1997), 85. 6 Craig D. Allert, A High View of Scripture? The Authority of the Bible and the Formation of the New Testament Canon (Grand Rapids: Baker Academic, 2007), 109. 7 Henning G. Reventlow, History of Biblical Interpretation, Volume 1: From the Old Testament to Origen (trans. Leo Perdue; RBS 50; Atlanta: Society of Biblical Literature, 2009), 127. 8 Reventlow, Biblical Interpretation, 1:120. 9 Reventlow, Biblical Interpretation, 1:140, 146. 10 Reventlow, Biblical Interpretation, 1:146. 11Bruce M. Metzger, The Canon of the New Testament: Its Origin, Significance and Development (Oxford: Clarendon, 1997), 90-99. 12 Allert, High View, 119. 13 It is significant that while this is true of a work explicitly directed against heretics, it is not true of his non-polemical Epideixis tou apostolikou kērygmatos (Proof of the Apostolic Preaching, trans. Joseph P. Smith; ACW 16; New York: Newman, 1952), which proceeds in a more traditional manner. Reventlow, Biblical Interpretation, 1:157-58. 14 Reventlow, Biblical Interpretation, 1:155. 15 Robert C. Hill, Reading the Old Testament in Antioch (BAC 5; Leiden: Brill, 2005), 44. 16 Hill describes the Antiochene commentators in general (Diodorus of Tarsus, Theodore of Mopsuestia, John Chrysostom), e.g., and not just Theodoret, in the following way: they “think that their canon is Jewish in origin and … that all the books came to them from Judaism.” Hill, Antioch, 23. 17 Augustine, Contra Adimantum (Against Adimantus) 3.4, as translated in David F. Wright, “Augustine: His Exegesis and Hermeneutics,” in Hebrew Bible /Old Testament: The History of Its Interpretation,ed. Magne Sæbø, vol. 1/1 (Göttingen: Vandenhoek and Ruprecht, 1996), 701-30 (714). 18 Stephen G. Dempster, “Canon and Old Testament Interpretation,” in Hearing the Old Testament: Listening for God’s Address, ed. Craig G. Bartholomew and David J. H. Beldman (Grand Rapids: Eerdmans, 2012), 154-79 (159). 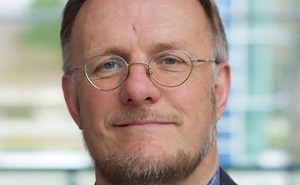 Iain Provan is Marshall Sheppard Professor of Biblical Studies at Regent College. He has written extensively on matters of biblical interpretation, including two recent books published by Baylor University Press: Seriously Dangerous Religion: What the Old Testament Really Says, and Why It Matters (2014), and The Reformation and the Right Reading of Scripture (2017). This comment is re-posted by permission of the author. Appreciate this anchoring of the Christian faith in the OT. And it reveals the dangers of popular Christian leaders with a huge following becoming themselves a bit unhinged and sliding off into heretical positions. Hopefully articles like this one and the grounding of thousands of Christians in the apostolic preaching and orthodox faith will provide the corrective needed. Shows our need to be vigilant and to keep searching the Scriptures as the Bereans did. I confess that, like many modern Christians, the back half of my bible saw a lot more traffic than the front (OT) half. It wasn’t until I joined Bible Study Fellowship that I got to spend any amount of time in the OT. And that study – seeing how everything fit together and made sense, and seeing God’s plan laid out from beginning to end – grounded my faith mike nothing had before that.